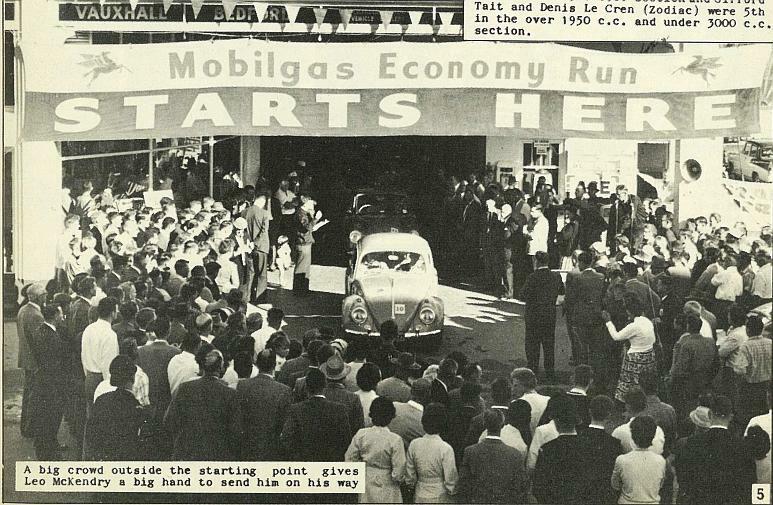 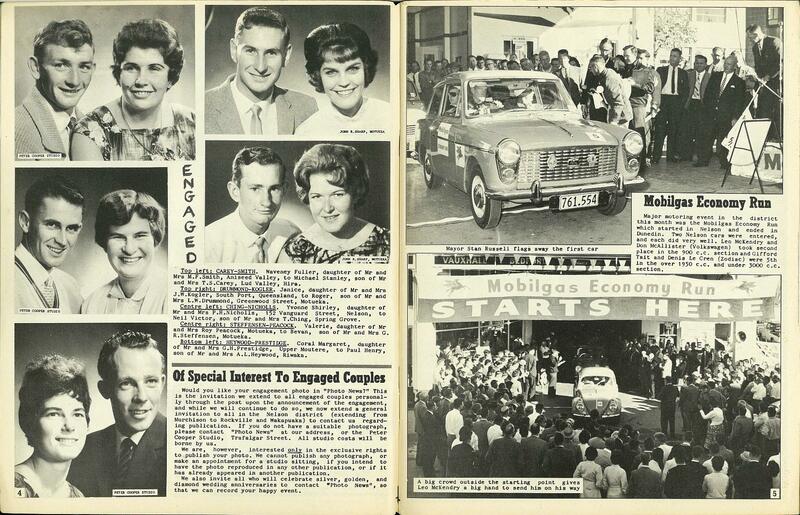 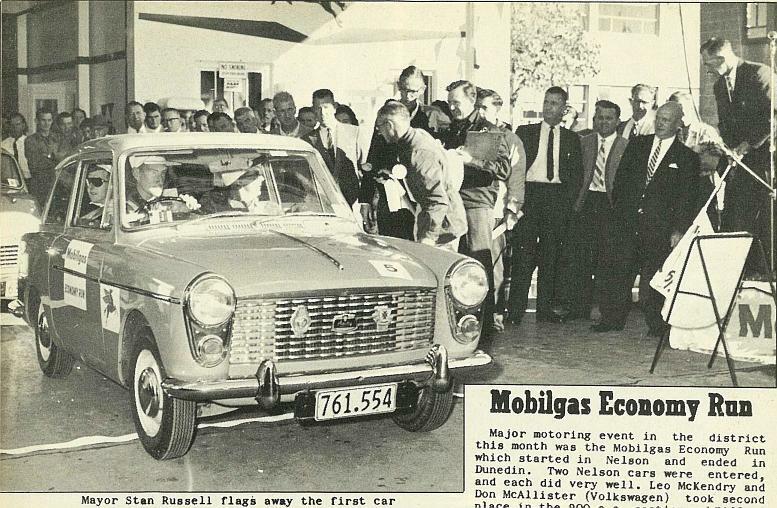 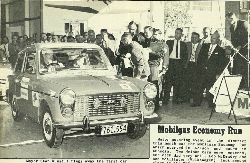 Major motoring event in the district this month was the Mobilgas Econoimy Run which started in Nelson and ended in Dunedin, Two Nelson cars were entered, and each did very well. 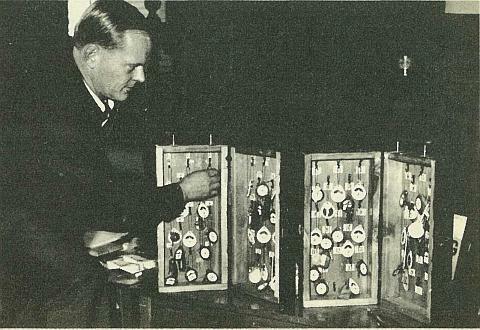 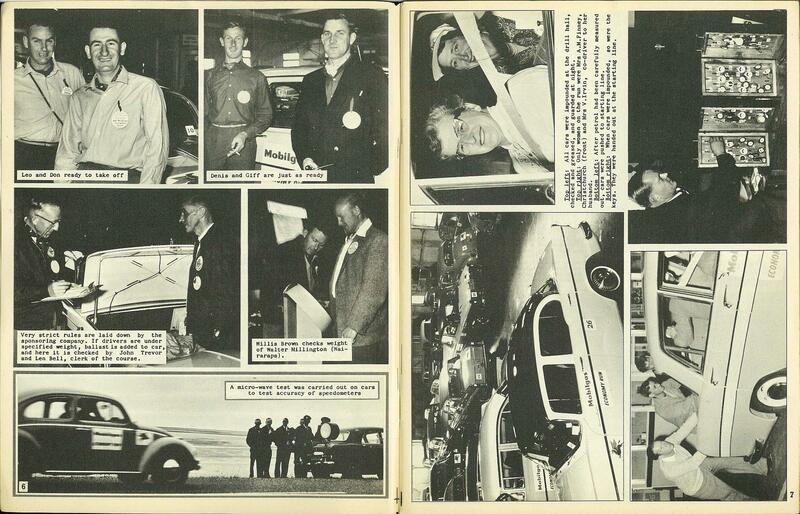 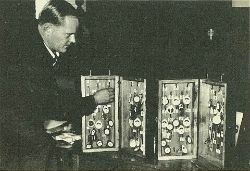 Leo McKendry and Don McAllister (Volkswagen) took second place in the 900 c.c. 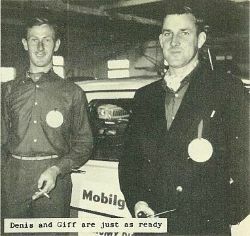 section and Gifford Tait and Denis Le Cren (Zodiac) were 5th in the over 1950 c.c. and under 3000 c.c. 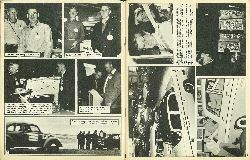 section. 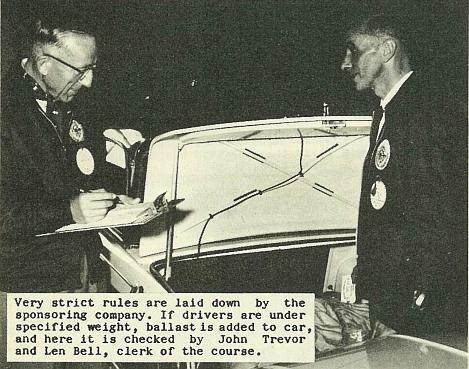 Very strict rules are laid down by the sponsoring company. If drivers are under specified weight, ballast is added to car, and here it is checked by John Trevor and Len Bell, clerk of the course. 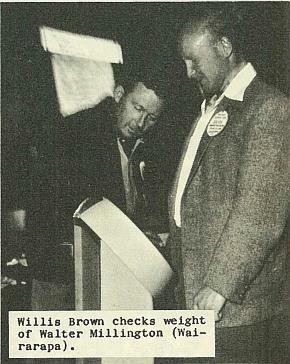 Willis Brown checks weight of Walter Millington (Wairarapa). 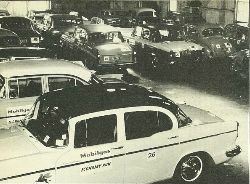 All cars were impounded at the drill hall, checked and greased, and guarded at night. 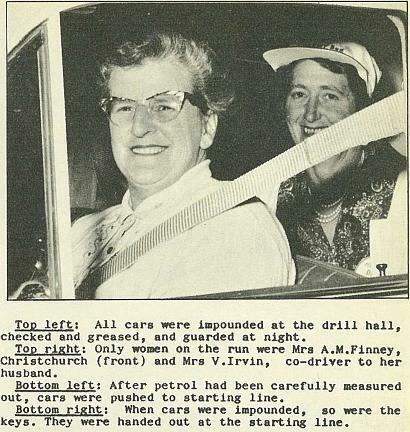 Only women on the run were Mrs A. M. Finney, Chrlstchurch (front) and Mrs V. Irvin, co-driver to her husband. 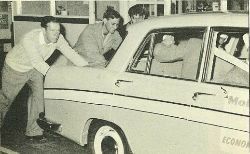 After petrol had been carefully measured out, cars were pushed to starting line. When cars were impounded, so were the keys. 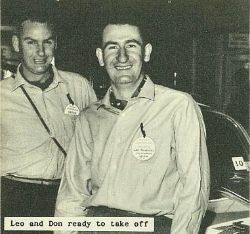 They were handed out at the starting line.